Nuno Cruz has a degree in law and has been a member of the Portuguese Bar Association since 1987. He became an official industrial property agent in 1995 and a specialist IP lawyer recognised by the Bar Association in 2006. Mr Cruz has been a partner at J Pereira da Cruz since 1987 and is a founding partner of the law firm Pereira da Cruz e Associados. He started his professional life in the world of IP in 1979 while still at law school. Now, as a senior partner, he accompanies and supervises the opposition and revocation proceedings handled by J Pereira da Cruz at the Portuguese Industrial Property Office. As a lawyer, Mr Cruz provides consultancy on matters concerning the validity and infringement of IP rights, as well as licence agreements, including franchising. He is also involved in civil and criminal litigation in the enforcement of trademarks, designs, copyright and patents. He specialises in anti-counterfeiting and works in close contact with the police and Customs. Mr Cruz is an arbitrator at the WIPO Arbitration and Mediation Centre and the Portuguese arbitration centre ARBITRARE, which focuses on industrial property cases, company names and domain names. 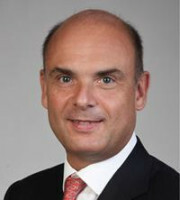 Through associations such as ICC Portugal and the Portuguese Bar Association, Mr Cruz has been actively involved in working committees for the revision and amendment of IP laws – including the committees for the IP Code of 2003, the implementation of the Enforcement Directive (2008) and the next IP Code (2017/2018). Mr Cruz is a member of multiple IP associations, including AIPPI, INTA, the International Federation of Intellectual Property Attorneys, the European Communities Trademark Association, MARQUES, Pharmaceutical Trademarks Group, the Chartered Institute of Trademark Attorneys, Anti-Counterfeiting Group, the Union of European Practitioners in Intellectual Property and the European Patent Institute. He has been chair of the Intellectual Property Commission of ICC Portugal since 2016.